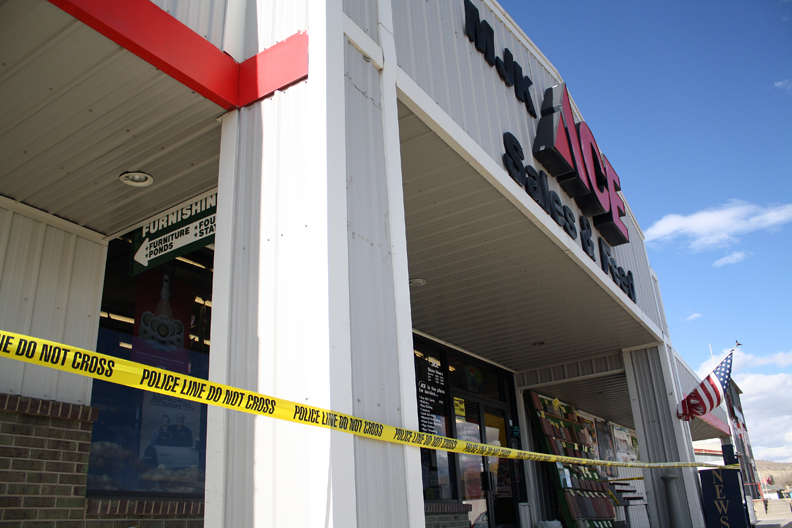 The Craig Police Department is investigating a burglary at MJK Sales & Feed Ace Hardware. The break in took place some time after 10:30 p.m. Sunday, said Sgt. John Forgay. The Craig Police Department is investigating a burglary at MJK Sales & Feed Ace Hardware, 290 Ranney Street. The break in, by forcible entry, occurred some time after 10:30 p.m. Sunday night, said Sgt. John Forgay of the Craig Police Department. In addition to missing two small safes, Forgay said MJK suffered damage to its computer and surveillance systems. Further details about the burglary were not released Monday as the crime is still under investigation, Forgay said. Lorraine Kawcak, who owns MJK with her husband, Lonnie, said Tuesday the two missing safes contained personal checks and credit card receipts from purchases made over the weekend. Customers worried about their identity or financial information are encouraged to contact their bank. Kawcak said customers also may contact her for more information at MJK, 824-6581. MJK remained closed Tuesday for repairs to the computer system, Kawcak said. She hopes to be open for business at 7 a.m. Wednesday. No other updates were available from the police department as of 1:30 p.m. Tuesday. The Daily Press will continue to follow this story and will release any new information as it becomes available.